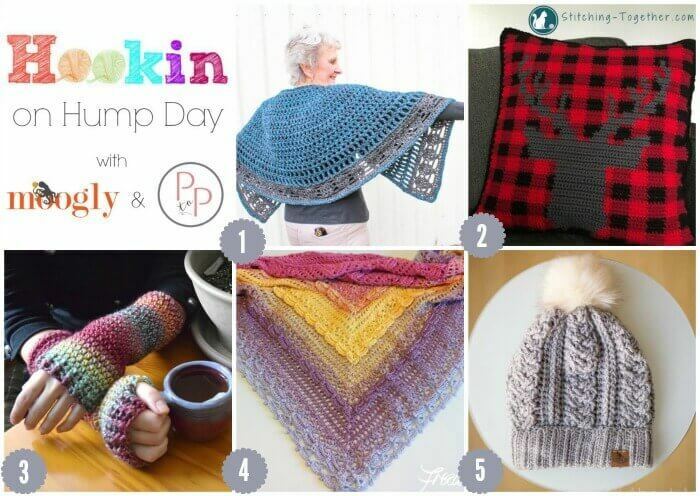 Are you ready for another year filled with fabulous fiber projects? I know I am!! 1. MOST CLICKED LINK: Nordic Cape Crochet Pattern from Made for you by Fi – This cozy cape pattern is suitable for any crochet level from beginners to advanced … PAID crochet pattern! 2. Buffalo Check Crochet Pillow Cover from Stitching Together – This tapestry crochet pillow is so on trend … and it’s a FREE crochet pattern too! 3. Basic Armwarmers Tutorial from Morale Fiber – Stylish but easy armwarmer pattern … includes detailed photo tutorial to guide you through! FREE crochet pattern. 4. Lost-in-Time Shawl from Frau Tschi-Tschi – This shawl pattern is gorgeous and always topping the charts in Ravelry! The FREE crochet pattern is available in 10 languages including English! 5. Braided Cabled Slouchy Beanie from All About Ami – A stylish cable beanie pattern with a photo and video tutorial … FREE crochet pattern! To celebrate, I have a coupon NORDIC which will give you 50% off the price of the pattern until Jan 15 2018. Go to https://madeforyoubyfi.com/product/nordic-cape-crochet-pattern to purchase.